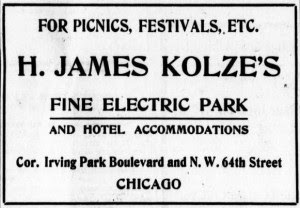 Kolze’s Electric Park was located along the south side of Irving Park Boulevard just east of Northwest 64th Street (now Narragansett Avenue) in the sparsely developed Dunning neighborhood of Chicago. Looking east on Irving Park Boulevard at 64th Street (now Narragansett) in the Dunning neighborhood of Chicago. (circa 1905). 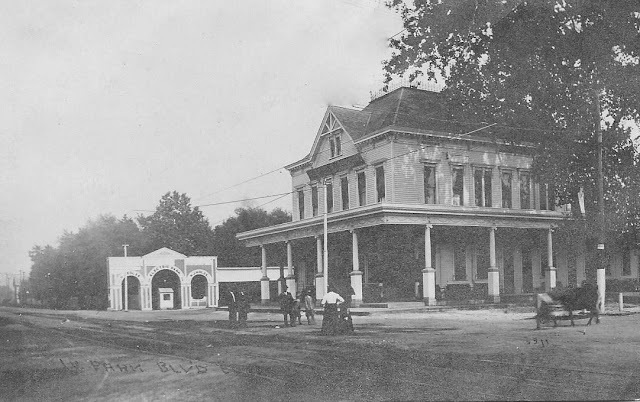 The structure with the arches was the entrance to Kolze's Electric Park which dates back to 1896, when hotel, restaurant and tavern (seen in foreground) owner Henry James Kolze decided to create an attraction for riders of newly-reaching streetcar lines. Purchasing wooded land near his inn, Kolze strung large gas lamps to offer a nightly orchestra. 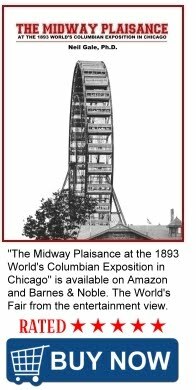 It was one of the first parks in Chicago to be illuminated by electric lighting. It was operated by Henry James Kolze, who owned a two-story roadside Inn, Restaurant and Tavern on the site to serve visitors to nearby cemeteries and the Cook County Mental Hospital. The extension of streetcar service to the area in 1896 boosted traffic along Irving Park Boulevard and enhanced the commercial possibilities of the site. Kolze responded by developing a picnic grove in the wooded area behind his restaurant. By 1905, the park featured a dancing pavilion, a shooting gallery, various concession stands, and bright night-time illumination, hence the name "Electric Park." 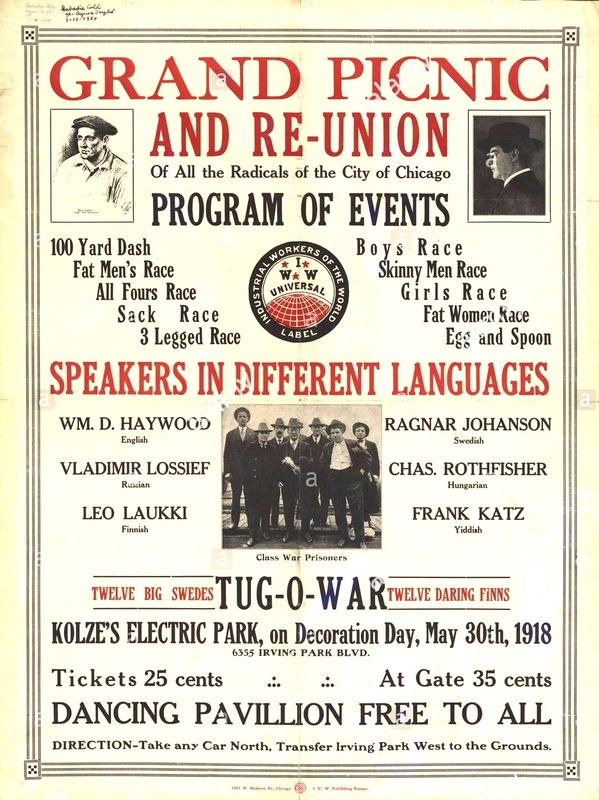 Attendance at the park steadily increased during the 1910s and 1920s, leading Kolze to undertake additional expansion of the park. Grand Picnic Newspaper Advertisement from 1918. By 1924, several new booths and refreshment stands had been added. Records also indicate that Kolze acquired additional property to the south of the original park, pushing its southern boundary to present Byron Avenue. 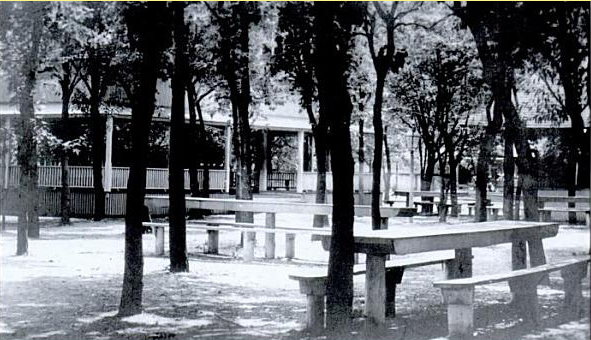 The picnic grove remained in operation until the late 1940s. In 1950, the Chicago Park District acquired the property and announced plans to convert the picnic grove into a public park. In subsequent years, the park district demolished 19 of 20 buildings on the site, the only one left standing was the original clapboard tavern as the park's new field house until a new brick facility was erected in 1969. These structure were replaced with athletic fields, tennis courts, and a children’s playground. The new park became known as Merrimac Park. 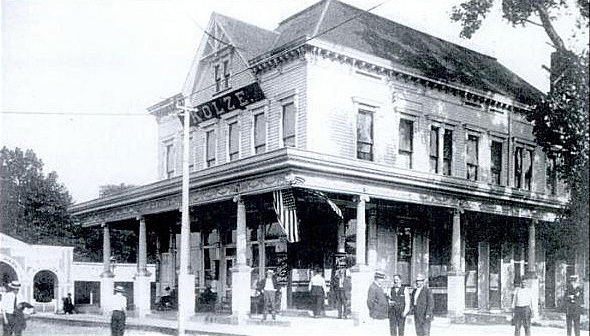 My grandmother worked there as a waitress around 1911-17. She met my grandfather there while working in the restaurant.